Established for 20 years, this is a family run business that retails a wide range of mobility equipment including mobility scooters, walking aids, wheelcharis, stairlifts, recliner chairs, bathlifts plus ancillary products and accessories, all of which are displayed and sold direct to the public across Kent and the South East from the two retail showrooms. The business is well respected within its field and offers to its client base quality products at competitive prices. This is a major point of success for the business as it remains one of the very few true independent suppliers, enabling the business to offer quality throughout and cater for the full needs of the individual client. The business is a highly knowledgeable organisation, offering not only supply and repair services, but also skilled advice on mobility products and their usage. This has proved to be invaluable to their clients securing high levels of loyalty and repeat business; hence the year on year growth figures the business has produced. The location of the business has had a large bearing on the business success as a good percentage of the demographic of the city are retired or elderly. The business has skilfully tapped into this increasing market, and this now shows in the upward trend of the revenue, and profits of the business. Staffing: The owner runs the business supported by 4 part time sales staff. Tenure: There are two leasehold premises, both on renewable leases. The showroom is circa 600 sq. ft. 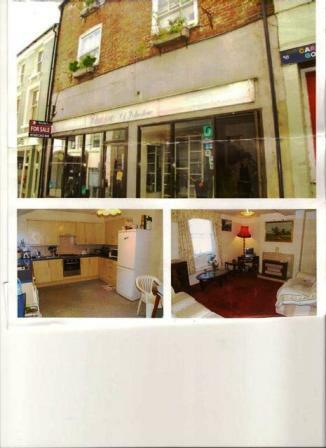 The double fronted shop premises is over two floors of circa 800 sq. Both stores are secure with one having the additional security of CCTV cameras.